Maruti Suzuki, country’s largest car maker, will be making a third addition to its Nexa range, by launching its Ignis car. The car is said to be a compact hybrid model between hatchback and a sports utility vehicle. The launch is expected later today. Through Ignis, Maruti Suzuki expects to extend its market share in the premium compact segment which is one of the most running brands currently. 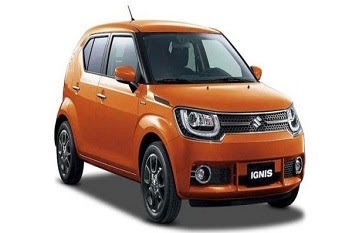 As a part of intra-Maruti competition, Ignis will come as a car with dual airbags and anti-lock braking system, first launched by Maruti itself. Ignis, would be available in petrol (1.2 litre K-series) and (1.3 litre) diesel engine options having additional option of auto gear shift. It has a high stance and broad front fascia, which makes it big enough to suit the category of a Sport Utility Vehicle, similar to M&M’s KUV100. It will be lengthier than KUV100; and wider and taller than Maruti's earlier brands. Maruti Suzuki's stocks have witnessed profit booking as the news has been already discounted in the stock. The stock is down 1%.